I’ve often heard that good things come in small packages. This can also be true of poorly named ones. The Bebbo cocktail is yet another libation in Vintage Spirits and Forgotten Cocktails with an unfortunate name (see The Monkey’s Gland if you need another). It does however have an excellent taste and isn’t that what we really after? The Bebbo cocktail is descended from the Bee’s Knees, but other than that we have very little information about it. Mr. Haigh indicates in his book that “bebbo” means “frog” in one of the many dialects of India, but since this drink contains no amphibian parts and is not green, this information really does us no good. 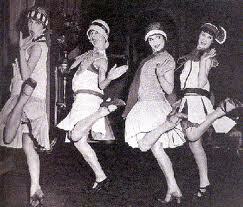 The Bee’s Knees on the other hand comes from the flapper slang of the 1920s meaning something that is the “best”. This libation was developed with lemon juice and honey to hide the poor taste of the bath tub gin commonly used during Prohibition. Although it’s name is sweet it packs a wallop of a sting! The only difference between these cocktails is the addition of orange juice to the Bee’s Knees to make a Bebbo. Katruska and I made both a Bee’s Knee’s and Bebbo and found both to be refreshing and sweet without being cloyingly so. Both also have a light, citrus fragrance that reminds me of early spring when the blossoms are just beginning to bloom. So, the weather outside may be chilly (or down right frozen), but you can mix up either of these classics and enjoy a bit of the spring to come. Warm the honey in a microwave until a liquid. 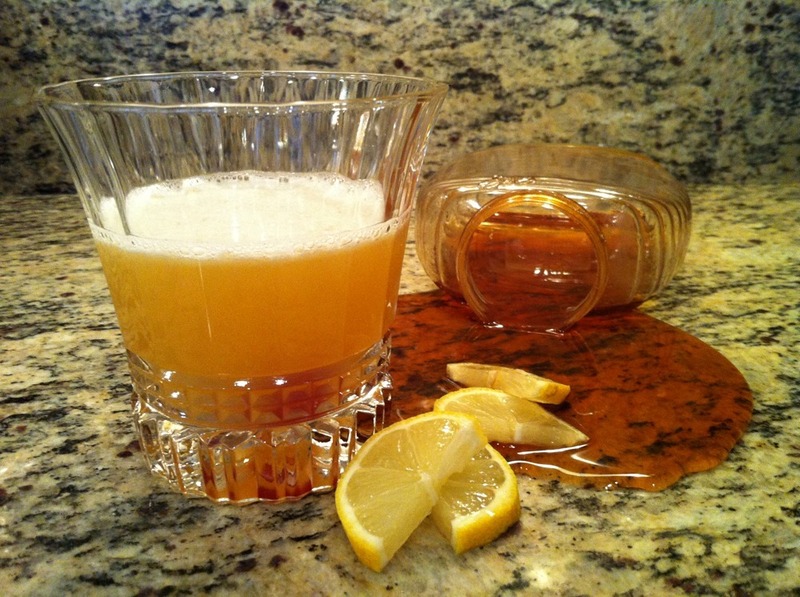 Mix the honey with the other ingredients in a cocktail shaker until combined. Add ice and shake vigorously until cold. Pour in a cocktail glass and garnish with a cherry in the bottom of the glass.